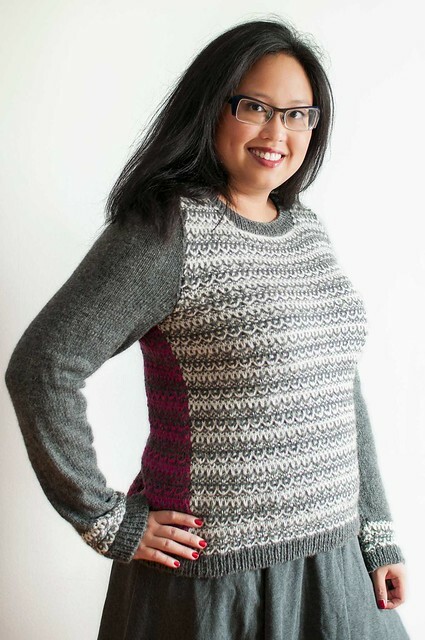 My Rhinebeck sweater pattern is finally ready for its debut! 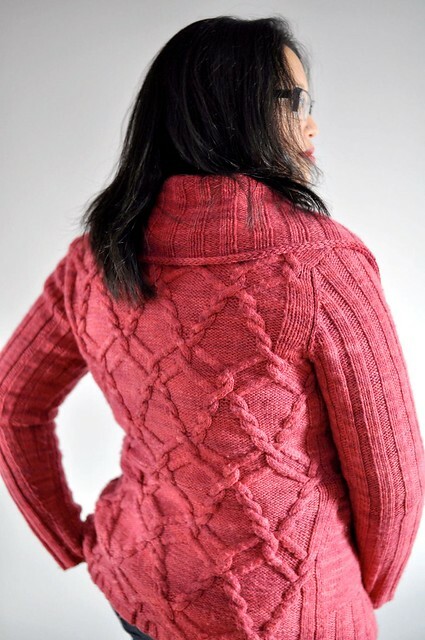 Moraine is a super cozy wrap cardigan with an intricately cabled back and simple stockinette fronts. The long ribbed sleeves keep the shape from being overwhelming, but stretch wonderfully over your tee or blouse. The extra-long shawl collar can be worn scrunched up at the back of your neck for extra warmth and is finished with a tidy I-cord bind off. The fronts and back are worked flat, then sewn together before working the shawl collar. The set-in sleeves are worked in the round to the underarm, then flat for the sleeve cap. The waist ties are worked separately and sewn to the side seams, so there’s nothing in the way of all those pretty back cables. The 10 page PDF pattern with charted and written cable instructions, schematic, abbreviations, and measurements in metric and imperial, is available for $7.50 CAD. See more details on the pattern page. Gorgeous, gorgeous, gorgeous!! Thank you thankyou, THANK YOU!! 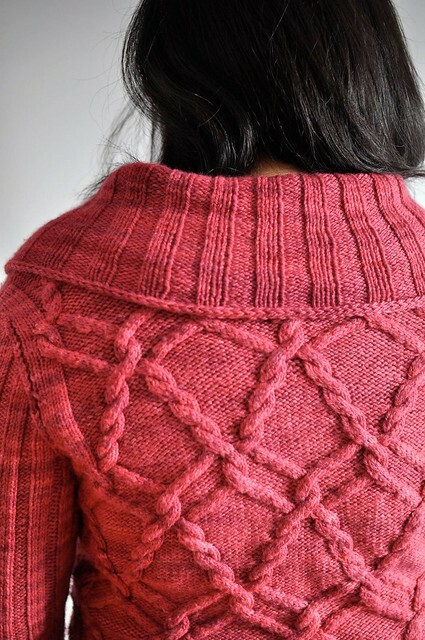 Laura- This cardigan is amazing!! !